WHAT’S UP DOWNTOWN – Are you ready for Christmas downtown? ARE YOU READY to experience Christmas Downtown? With the winter holidays around the frosted corner, the jolly folks at Downtown Kamloops hope to keep you merry this holiday season by spreading the word about some of our upcoming promotions and major events. 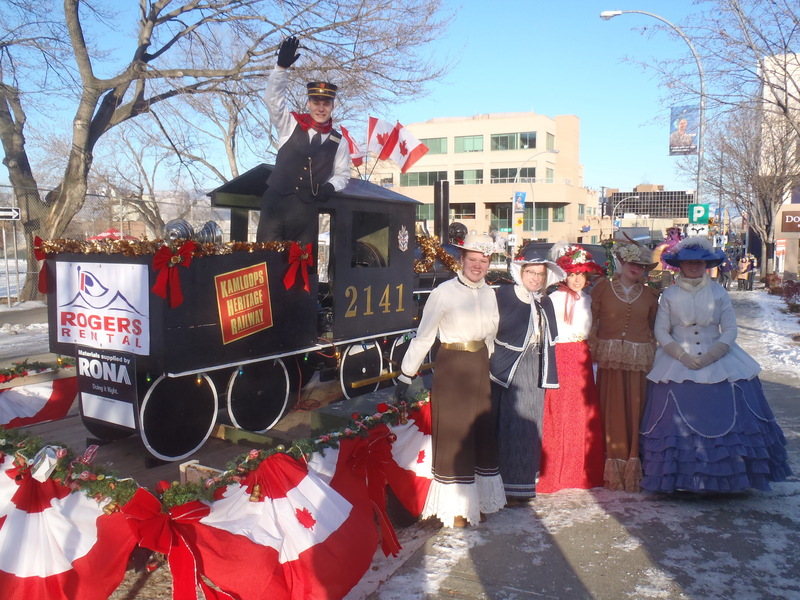 Besides, how could you NOT be merry once you see what Downtown Kamloops has to offer! From the Santa Claus Parade glee to parking for free (see below for full details), it’s time to experience Christmas Downtown! When the seasonal rush starts to kick in, its easy to be a little forgetful. Did you really turn off that stove? Well in case you forgot to pay for parking, Downtown Kamloops and the City of Kamloops have paired up to bring you free customer parking on the weekends in November and December. This means that all major ON-STREET parking in Downtown Kamloops will be free of charge every Saturday (and Sunday) from Nov. 3 until Dec. 30. In light of the holiday season, this is our city’s gift to you. Of course, this is in addition to Sundays – which are always free. When you are parking on street any other day, don’t forget about downloading and paying with the new user-friendly Whoosh! app. The annual Santa Claus Parade with this year’s theme being a Retro Rockin Christmas. On Saturday, Nov. 24, join us at 10:30 a.m. for Wake-up Santa at Kamloops Square on the 200 Block of Seymour Street. Once Santa is done trying to sleep in, the parade itself begins at 11 a.m. until around noon. The fun doesn’t stop there, however, because for the first time this year, from 12-3 p.m. you can get photos with Santa in Santa’s Workshop at Lansdowne Village. Warm up, get some snacks, and make this year’s parade one for the books. Downtown Gift Certificates make the perfect gift for everybody and are available for purchase at our main office (#4-231 Victora Street). These gift cards are redeemable at Kamloops Downtown merchants and service providers, making them one of the most diverse gifts around. Are you counting down the days yet? I know we are. Don’t forget when you come downtown for the Santa Claus Parade, and every other Saturday this holiday season, to forget about those parking machines, grab a Downtown Kamloops GC for a loved one (or yourself!) and remember to enjoy everything that Downtown Kamloops has to offer. 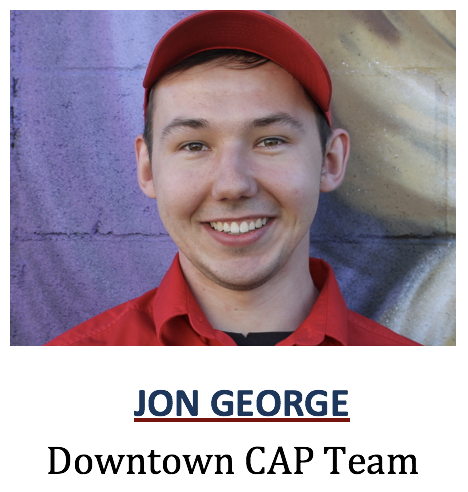 Jon George is with the Customer Care and Patrol (CAP) Team. The CAP Team is the Downtown Kamloops ambassador program. Reach them at 250-572-3008/3009.